The French Prime Minister, Édouard Philippe, was welcomed by his Malian counterpart, Soumeylou Boubèye Maïga, for a two-day working visit. The Legendre group was officially awarded the construction of the Fana solar photovoltaic power plant on the occasion. Soumeylou Boubèye Maïga, Prime Minister of Mali, welcomed his French counterpart, Édouard Philippe, on February 22, 2018 for a 48-hour visit to Mali. Security was discussed a lot, of course, but the environment was also in the spotlight, as the two heads of government visited the Kabala water pumping station. 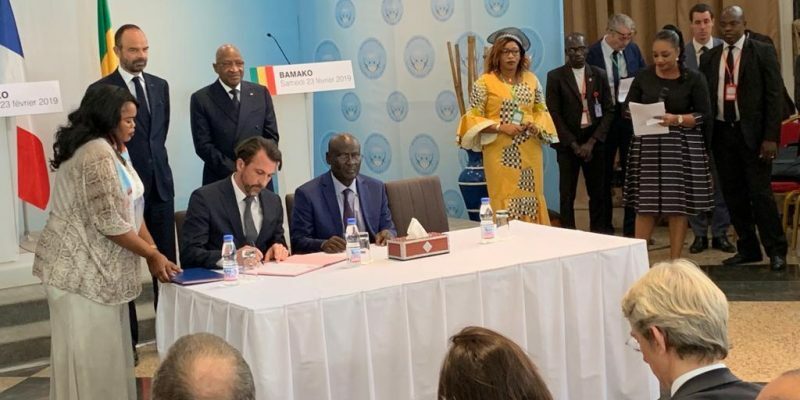 More importantly, Mali officially awarded the 50 MW Fana solar photovoltaic power plant in the Bamako region to the French company Legendre Énergie. The letter of intent to this effect was signed by the Minister of Energy and Water, Sambou Wagué, and Pascal Martin, General Manager of the Legendre Group. The investment project planned to invest CFAF 43 billion, or about 65 million euros, to be financed through a public-private partnership (PPP). Moreover, during the visit of the French Prime Minister, the entrepreneur networks of the two countries, the CNPM and the Medef, signed a new memorandum of understanding on cooperation between French and Malian employers, which provides for the creation of a PPP club in Mali. This announcement also follows on from the Renewable Energy Week held last week in Bamako to attract investors. In this context, the Malian Agency for the Development of Domestic Energy and Rural Electrification (Amader) has announced the launch of 4 electrification projects via renewable energy investment programmes. Another announcement, which reflects the Malian authorities’ desire to invest in the environment in Mali, is the agreement between the French Development Agency (AFD) and Boubou Cissé, the Minister of Industry and Mines, to provide a sovereign loan of €50 million for the drinking water supply project in Mali’s secondary cities.